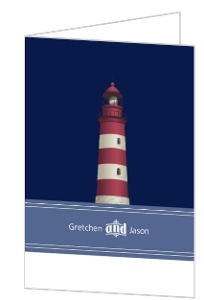 These seaside themed lighthouse response cards are the perfect complement to the Cape Cod Lighthouse Wedding Invitations. 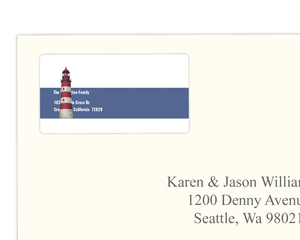 The lovely blue hue frames your response card text in a serene way. 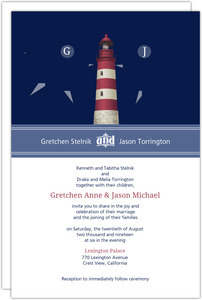 These response cards will certainly not be ignored by your wedding guests. 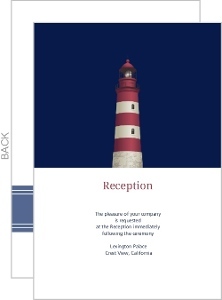 This Cape Cod Lighthouse Response Card is one the of the many designs in our Wedding Response Cards collection. 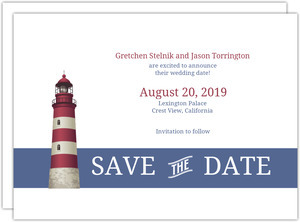 If you don't see a design in our Wedding Response Cards collection that you like, please let us know what you have in mind and we will be sure to add it as we refresh our collection.